Hello, my name is Carrie and I am a food blogger who does not own a DSLR camera. I also happen to be one of the few food bloggers still on Blogger, so there is that too. I am not saying that I will never own a DSLR. Eventually I will. I know that owning one will at some point become a necessary investment for my blog's growth, and I will take that plunge when that time comes. But in the meantime, I have figured out how to work my point & shoot to near DSLR quality. Some of my food photography has been deemed Foodgawker-worthy, and some of my recipe photos have made appearances in online publications for Cosmopolitan and Parade. 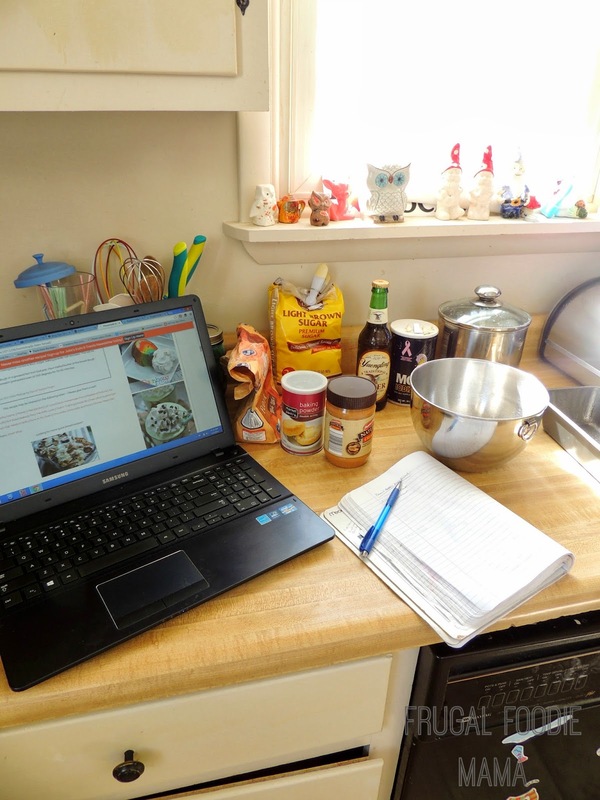 When it comes to food blogging, your recipe photos have the ability to take you to the next level with your blogging. The photos are important, folks. Food blogging, cooking, eating, everything that involves food is so visual. Look at all of the more popular food bloggers that you love and follow- what do their recipe photos look like? They are clear, bright, large, and enticing, right? You can take good quality food photos using a simple point & shoot camera. Presently, I am using the Nikon Coolpix P150. I actually love it because this camera has a separate food photography setting. And I can easily adjust the white balance as I am shooting. Not all point & shoots have these kinds of features though. When I was in the market last year for a new camera for my food photography, my budget was around $300. After much research and comparison, I decided the Nikon Coolpix P150 would be the best one for my needs. I use it for my recipe photos as well as personal photos and love it. The link above is to this camera listed on Amazon, but I was able to pick up my camera at Sam's Club for about $50 less. Natural light is your best friend. Natural light is actually EVERY food photographer's best friend whether they are using a cell camera or an expensive DSLR, but natural light is even more imperative for those of us using a point & shoot. No amount of editing software can you give your food photography the effects that good, ole natural light can give. But not all natural light is created equal. Direct, glaring natural sunlight can wash out your photos. A too gray day could give your photos a bluish hint. You want soft natural light. You can get this by watching the rooms in your house & seeing which ones offer the best natural light at which times. I am presently using a window in an east facing room and am getting the best non-direct natural light between 1-3pm. Psssstttt... you do not have to photograph all your recipe photos in your kitchen, especially if that room has the worst natural light. Up until a couple of months ago, I was photographing all my recipes on a small lap table by a window in my son's room. As the daylight hours started getting longer, I switched my photography set-up to my daughter's playroom. 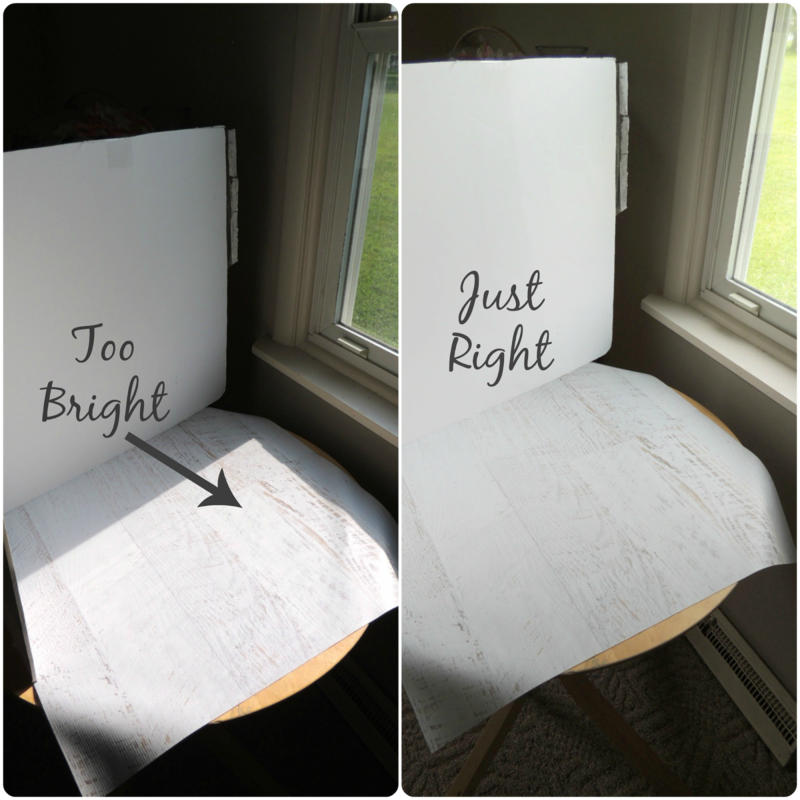 You don't need a fancy or expensive light box set-up. To reflect light, I use a $4 folding white foam board. For my "chalkboard" background, I simply drew with chalk on a black foam board and then smudged it with a cloth. I did take the plunge and purchased some vinyl backdrops and wow! They are definitely an investment worth making. I purchased all of my vinyl backdrops from Peek Prints on etsy. I have been very happy with my vinyls from her, and I also found that she has some of the best prices on etsy. Sometimes less is more with food photography props. Some food bloggers go crazy with the photography props- sprinkles everywhere, colorful paper straws strewn about (for recipes that aren't even drinks), antique gadgets, piles of ingredients, and so on. Some food bloggers go very minimal and only photograph the actual dish. Ultimately, you have to decide your food photography style- that is what will set you apart from other food bloggers & make a reader instantly recognize a photo of yours. My only suggestion would be to make sure that the actual dish/recipe is the star of the shot and that other items in the photo are enhancing the dish and not taking focus away from it. Okay, so now you have your shots. Time for editing! Just about every food blogger edits their photos- even those with more expensive cameras. Editing is essential for polishing up your photos, making sure the exposure is correct, and your colors (aka, white balance) are not off. Photo editing can also be a life saver when you cannot photograph in the perfect natural light I spoke of above. There are lots of photo editing software options out there, but I am a huge fan of PicMonkey. There is a free version, but I highly recommend buying an annual membership with them- you have access to all their editing features & they are always rolling out new features. Plus, you can always write off your membership fee as a blog expense- bonus! ;) But the free version is great for basic editing. Exposure- I usually just click the Auto Adjust for this one, but I may play with the Highlights and Shadows a bit if I am not 100% happy with the auto adjustment of the exposure. Colors- PicMonkey has a cool little feature under this called the Neutral Picker. This is by far one of my favorite basic editing tools in PicMonkey. You click the Neutral Picker button and then click to any area of your photo that should be gray or white, and it corrects the white balance. Again, sometimes I find I need to adjust the Saturation and Temperature on these photos a little after I have used the Neutral Picker, but it is mostly spot on. Overlays- I use PicMonkeys's Overlays feature to add my watermark to all my photos. You just choose Your Own, grab your watermark from your image files, and then drag it to where you want it on your photo. Don't have a custom watermark yet? Pop over to Mom On Timeout and check out her tutorial on How To Create Custom Watermarks in PicMonkey. It is the one that I used to create mine and was super simple to follow. Why watermark? It may deter another blogger or skimmer site from swiping your photos and posting them as their own. But not always. Some sites will crop out your watermark or just don't care and leave it on. I know it is tempting to make your watermark really large or to place it in the middle of your photo, but do not let your watermark detract from the recipe photo you worked so hard to create. Text- I almost always title my first photo in a recipe post with the recipe's name. This is totally a personal preference. 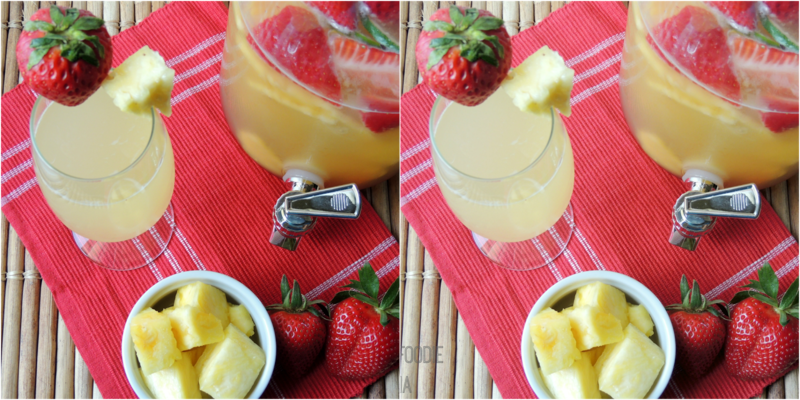 Some bloggers never put recipe titles on their photos. And some bloggers put them on every. single. photo. I would recommend staying away from doing the latter. You will want a few photos in your post that are text free other than the watermark so that they can be used for recipe round-ups and the like. 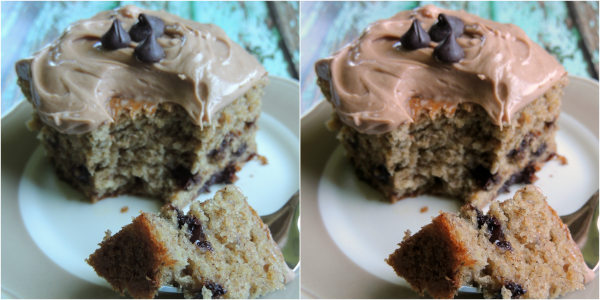 Plus, I think that a recipe title on every photo may detract from your fabulous recipe photos. You always want the food, the dish being the star of the photo and not being crowded in with text and an over-sized watermark. Use large photos! No one wants to squint at a thumbnail. And what is the point in putting in all this effort to improve your food photography if you are not going to show them off? I make my photos almost as wide as my post width. Other than the actual recipe part, the photos are the star of my posts. If you are worried about load time, I would suggest resizing the photos (you can do that in PicMonkey) or just using less photos. I find that 3-5 photos is usually a pretty good number for a recipe post. Some bloggers post like 10-12. Again, it is personal preference. But you don't need 5 photos in a recipe post that look almost exactly the same, do you? Use a variety of photos! If you are familiar with my recipe posts, you will probably notice that I "sandwich" my posts- one horizontal photo between two vertical images. Sometimes I will throw another photo or two in there, but typically I just use three. Different social media platforms like different photo orientations- Pinterest is all about the vertical; Twitter & Facebook seem to love the horizontal photos best. My first photo is always my beauty shot- the image that I feel is the most pinnable. And I try to steer my readers to pin that one and the other vertical photo in my posts by including a Pin It button below each of those photos. I work most of my photos for the sake of Pinterest because for myself and most other food bloggers, it is our biggest referrer of blog traffic. Ten Household Items That Can Improve Your Food Photography and then Ten More Household Items That Can Improve Your Food Photography from Pinch of Yum. I also love the tips in this Food Photography: Top Bloggers Share Their Secrets post from A Dish of Daily Life. 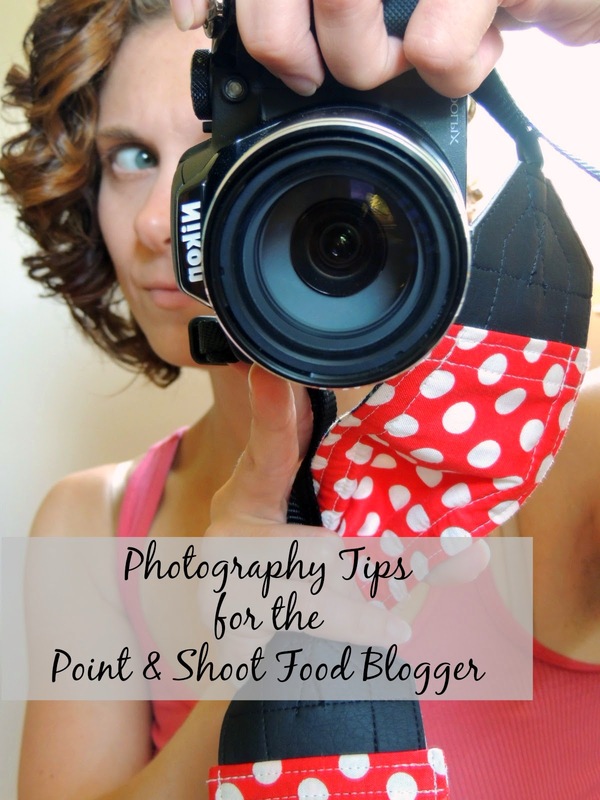 Averie Cooks share some pretty solid food photography tips in addition to lots of other great info for food bloggers in her post, Easy Ways to Grow Your Food Blog.